Happy Friday y'all! 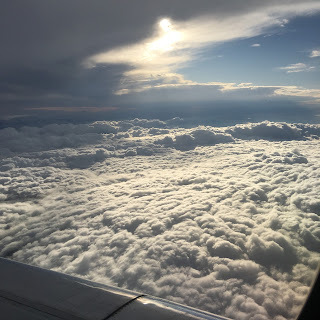 If you follow me on Instagram (@nikkim602) or on facebook, you know that I was in Denver this week for work, which is why the blogging was non-existent. 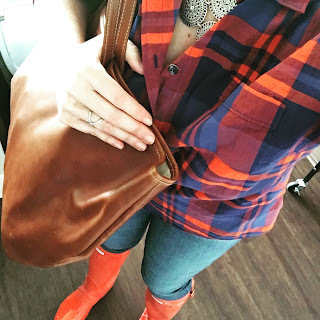 I'm back though, so we are back to it with some Friday Favorites. My amazing cousin, Kelly, started a non-profit organization called NothingPink. I am so tremendously proud of her. You can watch her story here. She started NothingPink because testing for the BRCA gene saved her life. "NothingPink is an organization created to eliminate inherited breast cancer deaths that result from the expense and misinformation surrounding preventative genetic testing. We educate women about genetic testing options and help low and middle-income women pay for testing. We support genetic risk prediction services for all women, regardless of income, race, age or insurance coverage." I love her passion for this, I love that her strength and her faith took her in this direction in order to help others facing the same circumstances. And as a total side note - the t-shirts are the softest shirts I own. My amazing and wonderful fiance gifted me with the Barrington bag I have been coveting for over a year for my birthday. I purchased my first bag from them 2 years ago and just fell in love with it. And then I saw the Florentine Leather version and I swooned. It is the perfect size and the perfect color. It's got a large zipper pocket on one side and three open pockets on the other, perfect for sunglasses, business card case, etc. I've had it a week and I am loving it as much today after toting it around Denver for a week as I did the day I opened it. Look, I know airlines get a bad wrap, but I need to voice my love for American today. Yesterday afternoon they emailed be about the weather in Dallas and offered to change my flight to an earlier one with no change fee. They got me on an earlier flight, super easy, no hassle. That flight ended up being canceled and they immediately rebooked me. When I was not so keen on the flight they had automatically rebooked me on, I called reservations and they put me on a better flight and sat me in the exit row and didn't charge me the upgrade fee for the "premium" seat. No lie, I love anything s'mores. The s'mores oreos, the s'mores you make at a campfire, the starbucks s'mores frappuccino, I love them all. 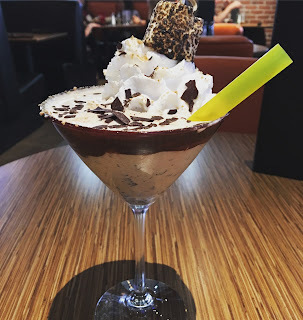 So when I went to 5280 Burger Bar for dinner last night in Denver, I knew I needed to get the s'mores martini. Oh. My. Stars. It was so delicious. Toasted marshmallow ice cream, crushed graham crackers, vodka, shaved chocolate and chocolate syrup, whipped cream, and a toasted marshmallow on top. It was worth every calorie. If you ever find yourself in downtown Denver, head to 5280 Burger Bar and order this drink. You will not be sorry. I love Thai food. Love it. Phillip? Can't stand it. We never go out for Thai when we're picking a restaurant. 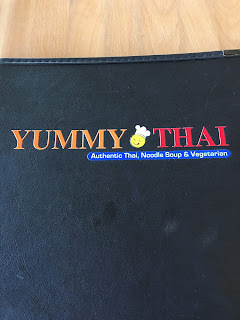 I don't mind, I order it when I travel (or sushi, another cuisine he is not a fan of) but since we are on summer schedule and I have Fridays off, I made my way over to Yummy Thai for lunch today. Oh it was delicious. I got the lunch special which included soup, an appetizer, and then my entree for $8.95. And the entree was huge! 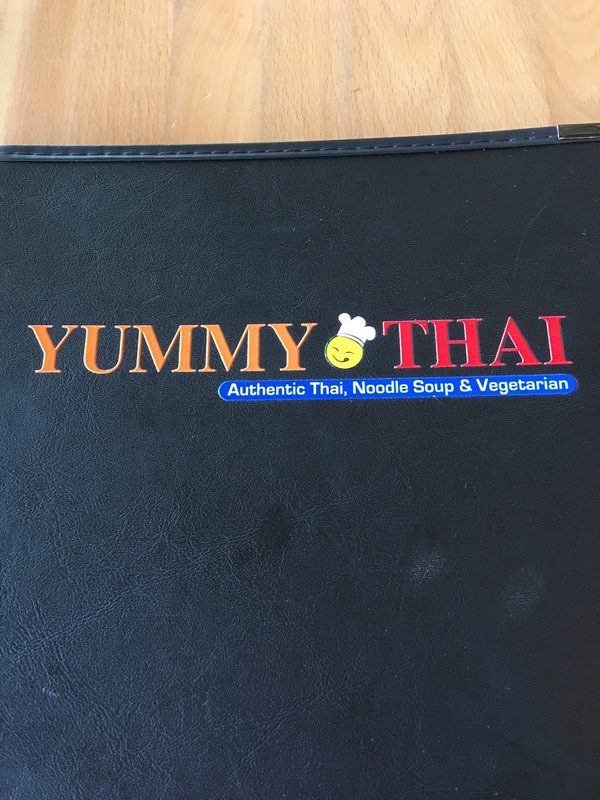 If you like Thai and are ever in Las Colinas, check out Yummy Thai. I love going to the ballpark! 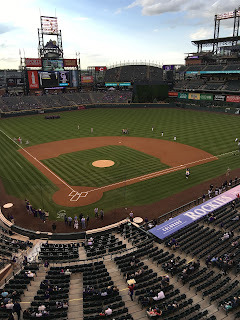 When I finalized my travel plans for Denver I checked the Rockies schedule to see if they were going to be at home while I was there and they were! So I snagged a couple of tickets and asked my friend Claire to join me and we went to the game. Now, you will hardly ever catch me watching baseball on tv. It's like watching paint dry for me, or golf. But seeing a game at the park? 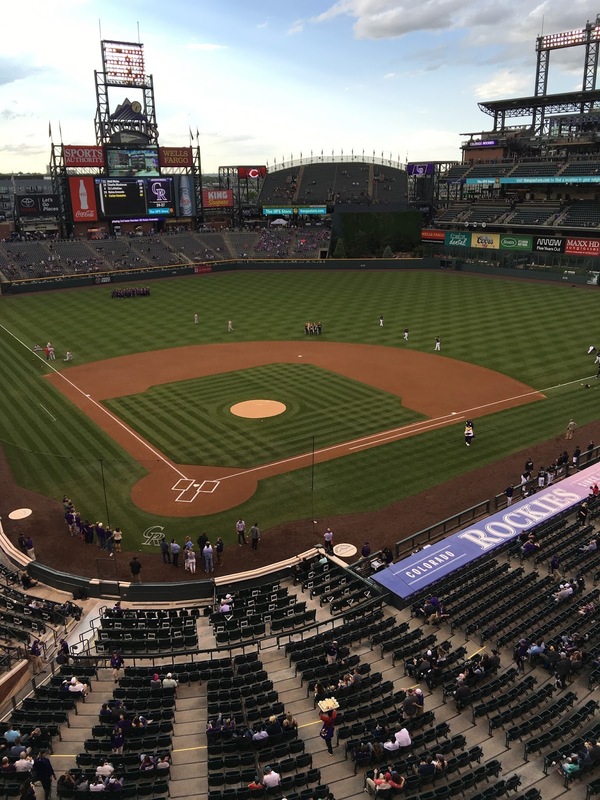 I love it and Coors Field was my fifth ballpark. I've been to Fenway, Yankee Stadium, RFK Stadium, Globe Life Park at Arlington, and now Coors. I love the atmosphere, the food, the fun, and I especially love watching my Red Sox. Fortunately, the Rangers are an AL team so I am guaranteed at least one Red Sox visit to Texas per year and sometimes two. So look for Phillip and I on tv on June 24 when the Red Sox play the Rangers. We'll be there!